I have kind of a site up as a placeholder at Pick An Excuse, but I’m really close to releasing a beta version of the application (the next couple of weeks). If you’re interested, shoot me an email at beta@pickanexcuse.com or follow pickanexcuse on Twitter. 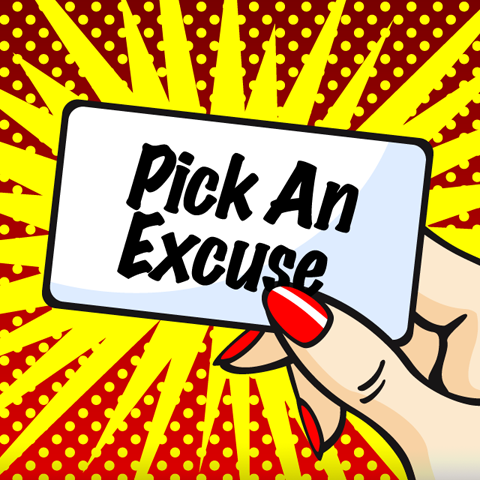 I’ll be doing a short run of t-shirts of one of the excuses, and giving them out to betatesters.